Nanjing-based Union Talent Logistics (UTE), a new member having joined the Network in June, has been busy reaping the benefits of Network membership, collaborating with fellow members on a number of challenging shipments. In mid-June UTE contacted the Finland branch of the Airlog Group, CHS Air Logistics (CHS), in relation to a consignment they had been asked to move from Yinchuan, China, to Vantaa, Finland. UTE’s client was Ningxia Fulde Shilica Material Co., a manufacturer operating in the chemicals industry, and the consignment was extremely fragile. Union Talent Logistics worked with CHS Air Logistics on a particularly fragile shipment moving from Yinchuan to Vantaa earlier this year. UTE handled the export customs clearance of quartz crystals, which due to their fragile nature, needed to be shipped in protective cartons. UTE’s team oversaw the loading of the quartz into the protective cartons and their trucking from Yinchuan to the port of departure in Shanghai, where the consignment was loaded into shipping containers. CHS then took over handling the consignment's import into the port of Helsinki and the final delivery to the warehouse of Finnish technology company, Okmetic. 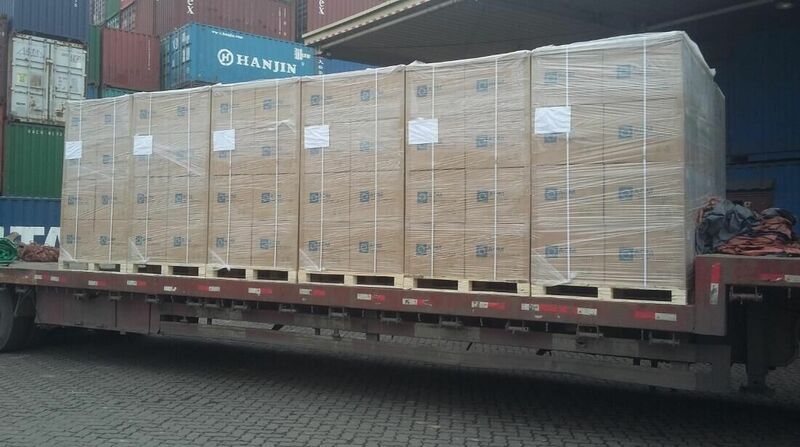 The crucibles arrived at the consignee's factory just three days after import clearance, all fully intact and in perfect condition, with both shipper and consignee “very satisfied with [the] professional service and effective, smooth cooperation," said Lion Jie, UTE's general manager. "It's really a very professional experience working with CHS," Jie enthused. "We are looking forward to developing our business with more and more members and believe that this will mean a higher quality service to our customers for the benefit of all." Another container destined for Okmetic being handled by UTE and CHS is currently in transit, and is expected to arrive in Finland mid-December. 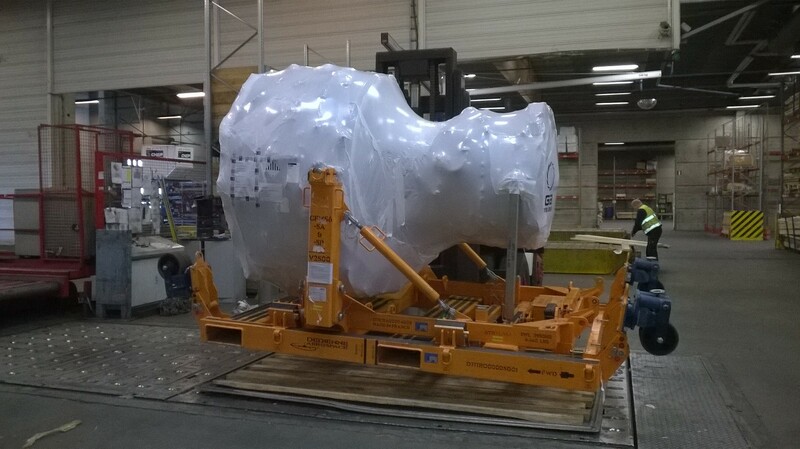 The aircraft engine wrapped and ready for shipment by CHS to Istanbul. Elisabeth Palander, director air and sea at CHS, also believes in the power of collaboration amongst IFLN forwarders. "Cooperation between the IFLN partners UTE and CHS was professional, smooth and timely. Working with IFLN partners is beneficial to all those involved," she said. Independently, CHS has also handled many interesting shipments. As they provide forwarding services for aircraft engines, most often to the U.K. or U.S., they recently oversaw the shipment of an engine by air from Helsinki, Finland, to Istanbul. The aircraft engine had been in Helsinki for repair and was due back to Turkey, in an area close to the Syrian border. CHS explored the various options available: moving it by charter flight directly from Helsinki to Istanbul; or by truck to Tallinn in Estonia, Frankfurt in Germany or Amsterdam in the Netherlands, and then on a charter flight from one of those hubs to the Turkish city. CHS Air Logistics used this MNG freighter for a time-critical shipment of an aircraft engine. The most direct and fastest option was chosen and executed. But it wasn’t a simple task; for if the engine had been only just half a centimeter higher, it would have been impossible to load it on to the aircraft, an MNG freighter. Moving engines, or any other consignments, through Finland throws up some tough challenges as weather conditions can be harsh, with plenty of snow and ice. Currently, southern Finland only sees about six hours of daylight and there are even fewer hours of light in the north part of the country.